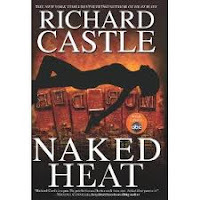 It still is not officially known who the writer is behind the three books in the Nikki Heat series, although he or she should get some credit. After all, he (or she) is the one that really is a New York Times Bestseller, if he was not already before Heat Rises. The theory that Tom Straw is the real writer of the books. The author wrote one crime fiction novel named The Trigger Episode. He also worked on several television productions as writer and producer. The reason why he a major suspect is that there is a fictional prize that Richard Castle won with his first book. He won the Nom DePlume Society's prestigious Tom Straw Award for Mystery Literature. Is this a way to let us know who the writer is in a playful manner? And besides the prize you get a lot of Castle related items if you search for his name on Amazon. When the first book came out, he was also in de top list of Customers Who Bought This Item Also Bought by the Castle Dvd and book. Coincidence or not? On the website of Tom Shaw you can read an excerpt of his novel. I read it and think the writing style is pretty similar, although it is only a small piece of text and it is written the first person form. Furthermore there is the fact that Hyperion has given only one clue for the authors real identity: The author has appeared on Castle. Doesn't the man on the still above not look like the picture on the site of Tom Straw? Does this conclude the mystery? 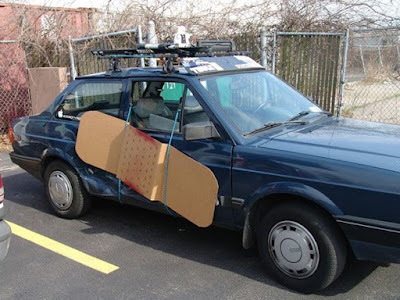 No, it doesn't. As long there is no official confirmation on either side, it stays a mystery. The writer of the Nikki Heat series could also be someone from the writers staff of Castle, who made an unnoticed cameo. Did maybe one half of MilMar wrote the series? 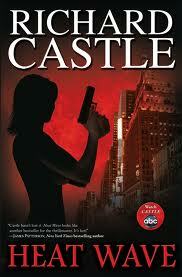 Or one of the authors of Castle's poker club is the man behind the New York Times Bestsellers. If this is the case, than would Michael Connelly be the most likely. He appeared in three episode, while James Patterson only did two and Dennis Lehane did just one. The late Stephen J. Cannell would be another good candidate, but that seems unlikely since there is another book released after his death. Do you think Tom Straw is the real writer? Or do you think someone else is? And do you even want to know who wrote the books?